Want to learn how to add PayPal to your referral exclusion list in Google Analytics? If you’re using PayPal to accept payments, Google Analytics will list PayPal as the referrer source instead of original referrer sites. This prevents you from seeing the original referrer websites contributing to your conversions. To prevent tracking PayPal as referrer and to track the real referrers, you need to add PayPal to the referral exclusion list in Google Analytics. And, here’s how to do that in just a few steps. When using PayPal as your payment gateway, your customers leave your site and log into PayPal’s website to make a payment. After they pay successfully, they return to your site, often to a Thank You page, and the conversion is made. Essentially, Google Analytics tracks the last website visited before conversion as the referral source for that conversion. Hence, it attributes PayPal as the referral source for the transaction. But, in reality, the referral source is where the customer found your website or product link, not PayPal. For example, a customer comes to your site from an affiliate website and decides to buy a product. After adding the product to their cart, your site redirects the user to PayPal’s website to make the payment. Now, they log into PayPal, pay for the product, and return to your site. And that’s a conversion for your site. Now Google Analytics adds PayPal to referral traffic data because PayPal is the last site user visited before conversion. But the actual referral source is the affiliate website, not PayPal. Before adding PayPal to the Referral Exclusion List, it’s best to check how many users are listed as referred by PayPal. To view your eCommerce referral list, you’ll need to visit Acquisition » All Traffic » Referrals from your Google Analytics panel. Then click on eCommerce under the Explorer tab. As shown in the screenshot above, paypal.com made it to the top of the list. That’s because all the referral traffic coming from multiple sources uses PayPal to make payments. To add PayPal to your referral exclusion list, you’ll need to click the Admin option at the bottom of the Analytics panel on the left. Navigate to Tracking Info option in the Property section. Then, select Referral Exclusion List. Upon clicking Referral Exclusion List, you’ll see your list of excluded sites. Now all you need to do is to add paypal.com to the list. To do so, click the Add Referral Exclusion button. Then, enter paypal.com to the domain box and click the Create button. That’s it! Now you can see paypal.com on the list. 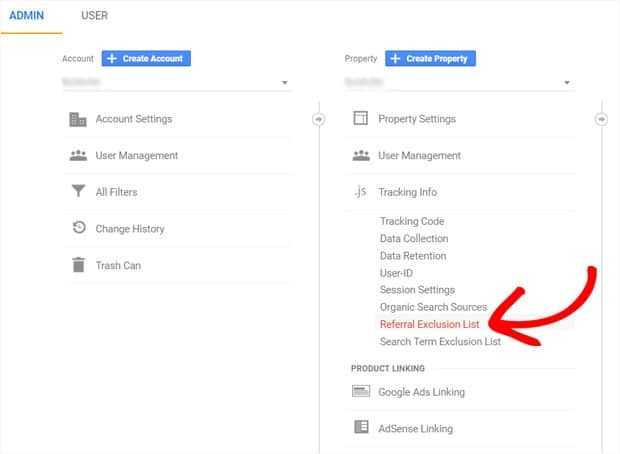 Now that you’ve added PayPal to the referral exclusion list, Google Analytics will track the original referral sites and provide you with accurate referral traffic data. Google Analytics normally takes 24-48 hours to apply an exclusion. You can check your referral source data again after that time to check if the exclusion list is working for you. 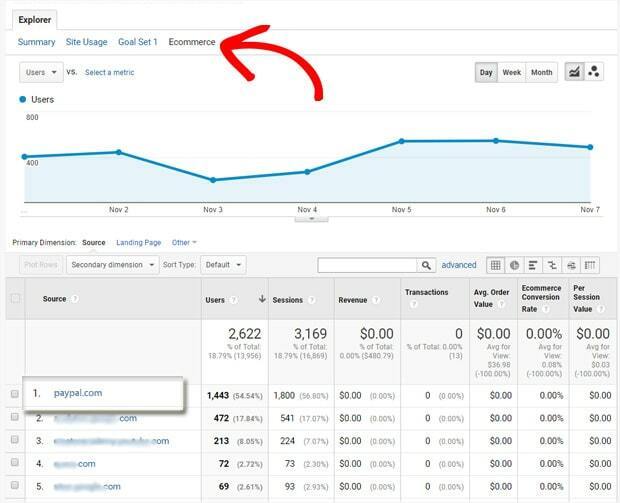 We hope this article helped you learn how to exclude PayPal from referral traffic data in Google Analytics. You may also want to learn how Google Analytics works.